This rich dark chocolate HERSHEY'S® Special Dark fudge topping will make any great sundae even better! 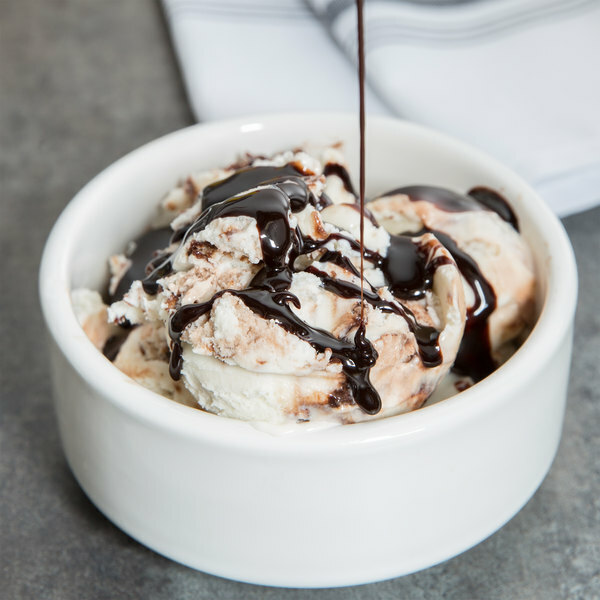 Warm this fudge topping and pour it over ice cream, cookies, pies, or cupcakes for decadent desserts that your customers will love. It mixes well in recipes, and it's even great for stirring into milkshakes and other blended beverages. 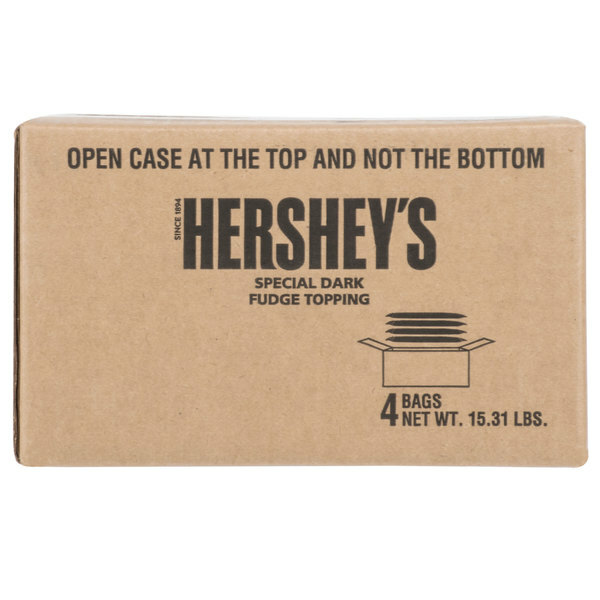 Put the finishing touch on your brownies, cheesecakes, and other top-selling desserts with this Special Dark fudge topping. The 48 fl. oz. 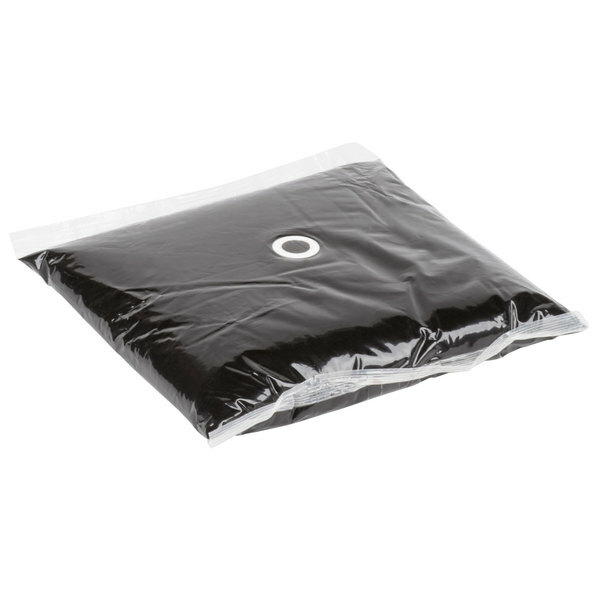 pouch reduces waste and is more environmentally-friendly than using bulk cans at your bakery, ice cream shop, diner, restaurant, or catered event. For supreme taste and genuine flavor, trust HERSHEY'S® Special Dark fudge topping for your sweet treats! Just finished an amazing hot fudge sundae. This Hersheys fudge is to die for. Thick hard for John to have a vanilla ice cream was just what I needed tonight and I will continuously by this hot fudge from now on. It is delicious. Highly recommend. A nice tasting dark chocolate fudge topping from Hershey's that is amazing drizzling over fresh apples. The topping is well packaged and can be squeeze out easily. This Hersheys special dark fudge topping has the great taste that we all expect from Hersheys brand. It is thick while still being liquid enough to spread and drip over things like ice cream and other desserts. Hershey's always delivers on amazing chocolate. This special dark fudge topping is by far our most popular. All of our customers enjoy it. It is truly amazing.